I am honored to have spent time with Dale and his mom, Ethel on Monday evening and on behalf of the Domingo family I want to reach out. 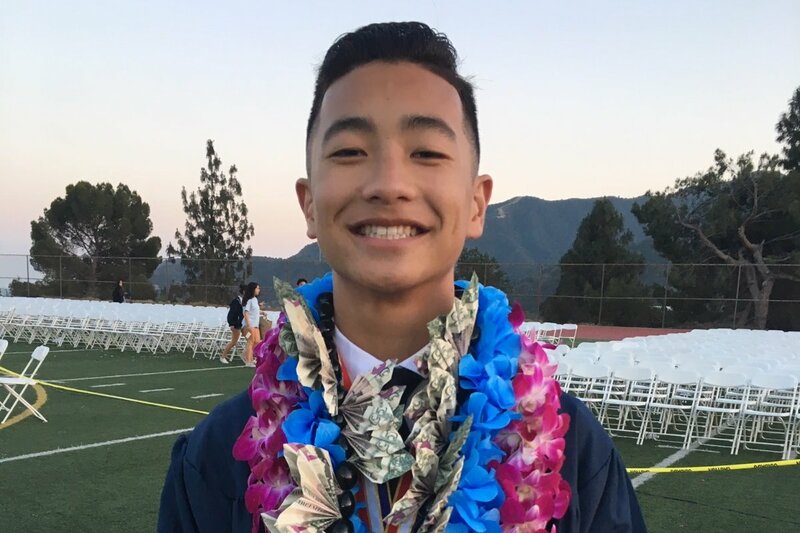 As many of you know Noah Domingo passed away on January 12, 2019. He was a freshman at UC Irvine majoring in Bio. His dream was to go into sports medicine, and be the Lakers team trainer. He had such a fun, enthusiastic spirit, with an immense love of basketball and football, always a team player! He was a supportive, caring friend, brother, boyfriend, grandson, and son whom always wanted to make everyone laugh. Upon his return to UC Irvine this past weekend he attended a college party with friends and to everyone's dismay he never came home. The family was so grateful that his last days were about cherished time spent with family and friends for the holidays before returning to school. The family has been overwhelmed with the outpouring of love and support and although they would like to be able to say thank you to each and every person who has reached out they are trying to grieve as a family and come to grips with this tremendous loss. As we all know there are no words however so many people have reached out, trying to find a way to support the Domingo family, a family which has been such an amazing presence in our community. So we agreed that a go fund me page would be a way that many of you could make a difference, to show your support, love, care, concern as well to share your condolences. Please continue to lift the entire family in prayers and please know how much the family appreciates the entire communities outpouring. All proceeds are setup to go direct to Dale himself and will be distributed accordingly to cover the expenses incurred during this trying time. Update #2: Please continue to share. Since we continue to see support, sharing of the page and requests that we extend the campaign we have decided to keep the page open until next Saturday, January 26th, 2019. Thank you again for your continued support of the Domingo family. With a grateful heart ❤️ For the continued outpouring via social media, go fund me, personal cards, phone calls and texts. You are each a blessing! As an FYI we wanted to let everyone know the campaign will be closing at the end of the day tomorrow, Monday, January 21st. Please help me continue to spread the word one last time. But please know that the outpouring of love, kindness, prayers, condolences, cards, emotional support and financial donations have been overwhelming. A true testimony to the impact Noah Domingo has had on so many. The entire Domingo family is grateful beyond words. And if they could they would thank you each individually but i hope you each know their gratitude is endless. At this time the hope would be that each of you/us will choose to carry on Noah’s legacy in one way or another, always and forever. Most importantly I ask that you pray with me. Pray without ceasing, covering the family with abounding peace, courage, and strength that only God can provide.